Brahimi is now taking questions. 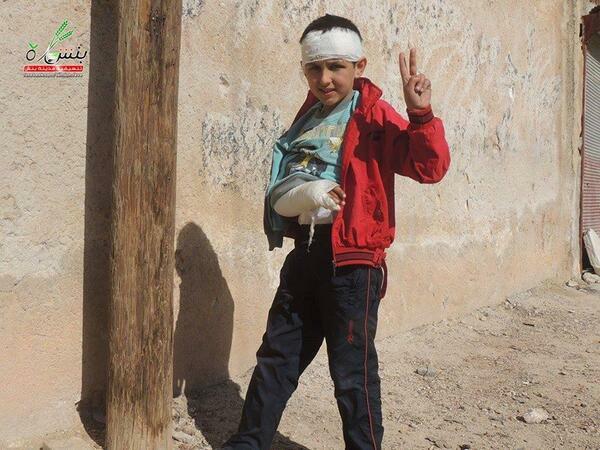 What is your message to President Assad? "My message to everybody who is involved in this terrible crisis is to think of the Syrian people [and] the immense suffering that has been imposed." Asked about timing for the next session of talks, Brahimi says: "People are being killed, the country is under destruction... I hope I have made it clear that every side will go back home [and] we will see when are we going to meet next." Brahimi says the official delegations have accepted the agenda of what needs to be discussed, but there remains contention over the "manner" in which the topics will be discussed. The government rejected Brahimi's plan to discuss violence on day one and transitional government on day two, Brahimi says. Goran Tomasevic, a photographer for the Reuters news agency has won the first prize spot news stories category for his series of pictures from Syria. 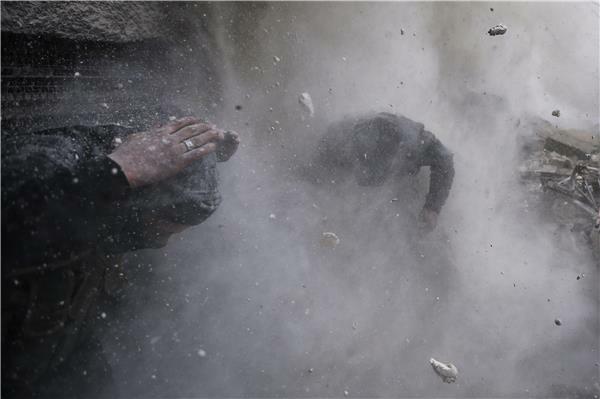 This photo shows Syrian rebel fighters taking cover amid flying debris and shrapnel after being hit by a tank shell fired towards them by the Syrian Army in the Ain Tarma neighbourhood of Damascus. The governor of the Syrian province of Homs said on Saturday that young men were being released from government-run evacuation centres after being questioned by Syrian authorities. Earlier on Friday, the United Nations paused the evacuation of civilians from the embattled Syrian city of Homs, a senior UN official said, while the government screened military-age men who had left the area. "Yesterday, seventy young men got out to live their normal life in their homeland, and they can live wherever they wish," said Talal Barrazi, Homs governor. "The young men who got out have not committed any law-violations and many have benefited from amnesty decrees previously issued," he added. 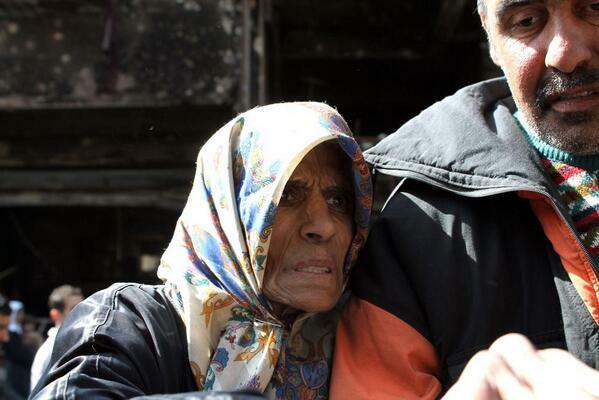 The pause in evacuations came just a day after a cease-fire was extended for three more days in Homs. 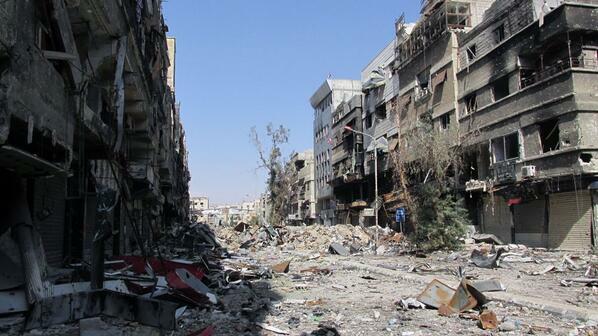 Hundreds more civilians are believed to still be trapped in a rebel-held medieval quarter known as Old Homs. I am very sorry to say really there is nothing positive we can take. We have been disappointed completely, not only by the regime, but other sponsors so far, particularly the Russians, have not prevailed over the regime, that want to stall. I hope they will do something about it, because they were part of the first meeting that led into the formation of Geneva communiqué. We accepted the draft agenda proposed by the international mediator. The disagreement started when the other side started presenting their own interpretation for the agenda, how they interpret and construe the agenda, in a way that one day it will be used for fighting terrorism, and then another day for the transitional government body as they call it, without ending the terrorism subject. So in other words, they wanted the discussion about fighting terrorism to stay open with no end, and all they care about it is to move to the second clause, move to the second clause without a common reading for the terrorism subject. The evacuation of civilians from Homs city has halted, with no new efforts to extend a truce and the governor saying Sunday that "armed groups" prevented operations a day earlier. In a statement, Talal Barazi said "the evacuation of civilians was not carried out yesterday (Saturday) because some of the armed groups prevented the citizens inside from moving to the transit point to leave". "The province will continue its efforts with the United Nations to evacuate all those who wish to leave," he added. 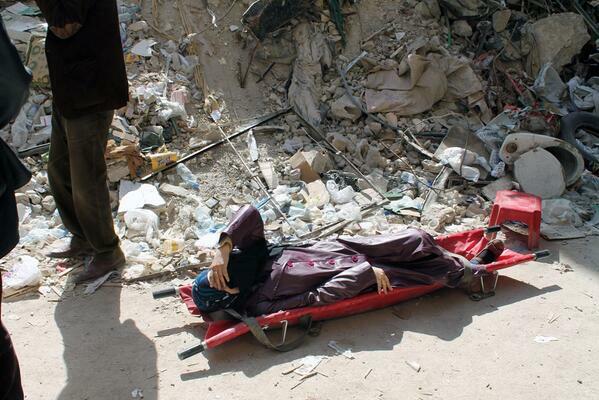 The United Nations and Syria's Red Crescent began operations to evacuate trapped civilians and deliver aid inside besieged parts of Homs on February 7. 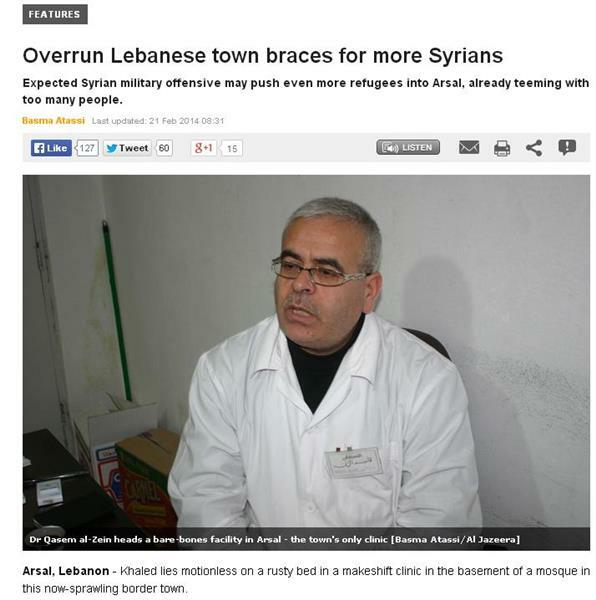 Barazi said on Saturday that 390 male evacuees had left Homs, with 211 released so far. On Thursday, the UN said 430 men and boys had been detained with just 181 released. The fate of the male evacuees has prompted concern at the UN and the International Committee of the Red Cross, whose chief warned Saturday that they "must be treated humanely at all times and be allowed to contact their families". Peter Maurer also lamented the chaotic evacuation process, which saw aid convoys come under fire and shelling kill more than a dozen people despite the nominal truce. 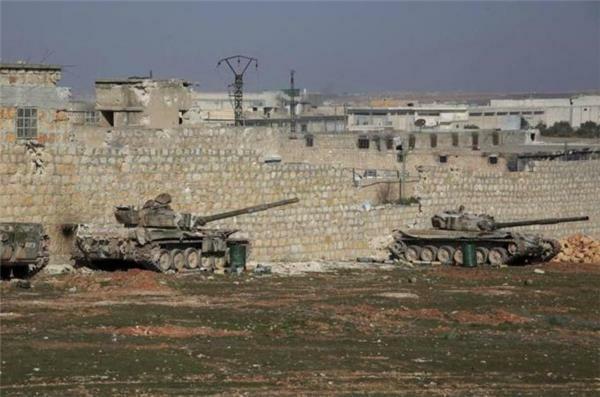 On Sunday, the Syrian Observatory for Human Rights said several besieged neighbourhoods of Homs came under regime shelling, and government forces battled rebels in the outskirts of the districts. Government troops also shelled the Waer neighbourhood, a Homs district under opposition control but not subject to the army siege, where most of the evacuees fled. The Lebanese army have intercepted a car packed with explosives near the border with Syria on Sunday, four days after two car bombs were defused elsewhere in the country. State news agency NNA said the car had entered Lebanon from the embattled Qalamun region across the border and was stopped at an army checkpoint when soldiers became suspicious. A security source told AFP news agency that soldiers opened fire towards the vehicle, prompting the passengers to flee. The car was rigged with 200 kilos of explosives which were to be triggered by mobile phones, the source said. In a statement, the army confirmed the incident, saying the vehicle contained 240 kilos of Semtex explosives as well as artillery shells. It said the Semtex and other explosives in the car were connected to a detonation cord of 200 metres (yards) and a timing system involving two cell phones and a battery. It added that drugs were also found in the car, without providing details. The NNA said the car had come from the Qalamun region "and was heading towards Beirut". It identified the vehicle as a four-wheel drive and said it was seized along the Shoaybe-Ham highway in eastern Lebanon. Russia has dismissed US claims that it was "enabling" Syria's President Bashar al-Assad to stay in power and failing to push for a transitional government that could help end the bloody conflict. "We have done everything we have promised," Russian Foreign Minister Sergei Lavrov told reporters on Monday, referring to Moscow's efforts to get the Damascus regime to hold direct peace talks with opponents. "First of all, we are working with the Syrian authorities on a daily basis, and second of all, statistics clearly show that the main problems are created not by the regime but by the terrorist and extremist groups that have spread across Syria and that do not answer to any political structure." US Secretary of State John Kerry accused Russia on Monday of not doing enough to make sure the Syrian regime remained committed to the Geneva II peace process that broke up in acrimony on Saturday without an agreement on further talks. Kerry said Russia "has stood up publicly with me on several occasions and said they're committed to that transition government... yet we have not seen the kind of effort to create the dynamic by which that can be achieved". Lavrov for his part noted that the Syrian opposition delegation at the Geneva negotiations was not represented by some of the most important members of the National Coalition umbrella group. truly representative opposition delegation," Russia's top diplomat said. "For now, they have been having trouble doing this." Lavrov added that Russia was looking into reports about some foreign opposition backers working on the creation of a new Syrian opposition organisation that favoured the military overthrow of Assad instead of further talks. This video allegedly shows clashes between the Islamic Front and an armed tribe in the refugee camp near the border crossing to Turkey of Bab Al Houa. Al Jazeera cannot independently verify this video. 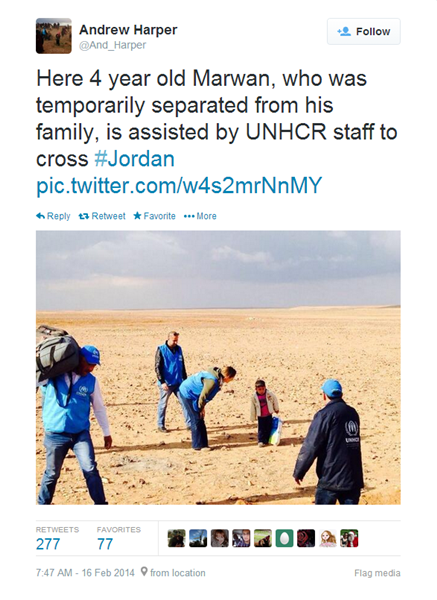 Andrew Harper, the UNHCR's representative to Jordan, tweeted photos of a four-year-old boy walking alone in the desert at the eastern Jordanian border, where the UNHCR were receiving refugees fleeing the war. 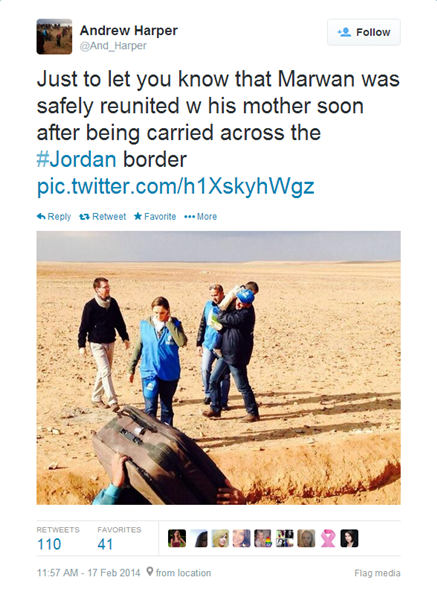 The boy was later reunited with his mother. Government forces make gains in central province, state news agency reports, amid continued violence across the nation. This video allegedly shows a government aerial bombardment targeting Muzayrib town in North Daraa, killing at least six people according to activists. Al Jazeera cannot independently verify this video. This video allegedly shows the aftermath of a government aerial bombardment in North Daraa. Al Jazeera cannot independently verify this video. This video allegedly shows a government air attack targeting the rebel held town of Daraya in South Damascus. Al Jazeera cannot independently verify this video. In a video recording published on February 18 nine different groups announced that they would join efforts, under the name of Army of the Levant, to topple Assad's regime. The man talking on the video is Hassan Aboud, leader of Dawood's Battalion now also leader of Army of the Levant. The Syrian Electronic Army has hacked into FC Barcelona's Twitter account, criticizing the club's links with Qatar. The tweet "Dear FC Barcelona management, don't let the Qatari money funds you, it's full of blood and kill", was repeated several times. The group also tweeted "Special hi to Real Madrid", before Barcelona officials could regain control of account and delete the Tweets. Qatar Airways is currently as sponsor of FC Barcelona, with the team's shirts bearing the company's logo. UN chief Ban Ki-moon is convinced that Geneva peace talks are the best way to resolve the Syrian conflict and urges all sides to return to the table, his spokesman has said. "The secretary general remains convinced that Geneva II is the way to go, and he is looking at the parties to think long and hard and to come back as soon as possible so that this process can continue," spokesman Martin Nesirky said Tuesday. "This is a process, not a single event taking place in one or two meetings... this is going to take a long time", he added. "The secretary general remains determined to push ahead with this, as is (UN mediator Lakhdar) Brahimi," Nesirky added. Nesirky said Brahimi would be coming to New York "at some point" to brief Ban and the Security Council on his mission. 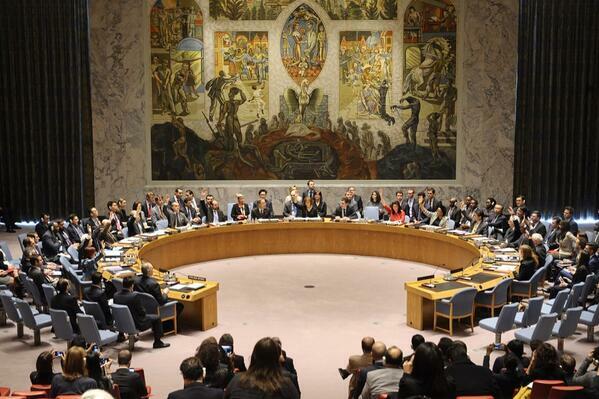 The UN Security Council meanwhile met to discuss a resolution on the humanitarian situation in Syria. Russia opposes any threat of sanctions, and has already blocked three resolutions aimed to increase pressure on the Syrian government. Jordan's UN ambassador, Prince Zeid al-Hussein, said he hoped for a vote by the end of the week. Syrian government forces are using a powerful type of cluster munition rocket not seen before in the conflict, Human Rights Watch has said. “It is appalling that Syrian government forces are still using banned cluster munitions on their people”, arms division director Steve Goose said. 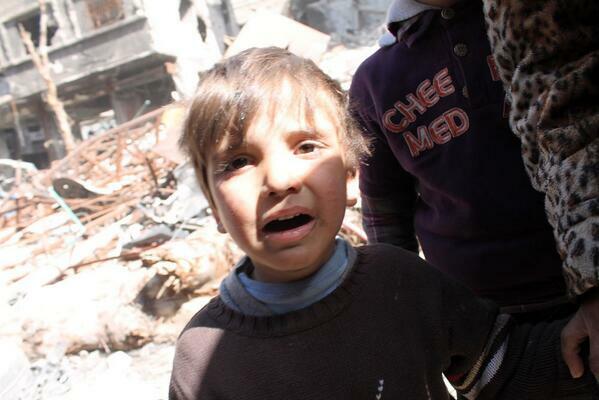 “Cluster bombs are killing Syrian civilians now and threatening Syrians for generations to come”, he added. The relief agency supporting Palestinian refugees resumed food distribution inside the rebel-held district of the Syrian capital that has suffered from crippling shortages of food and medicine for months, a United Nations spokesman has said. 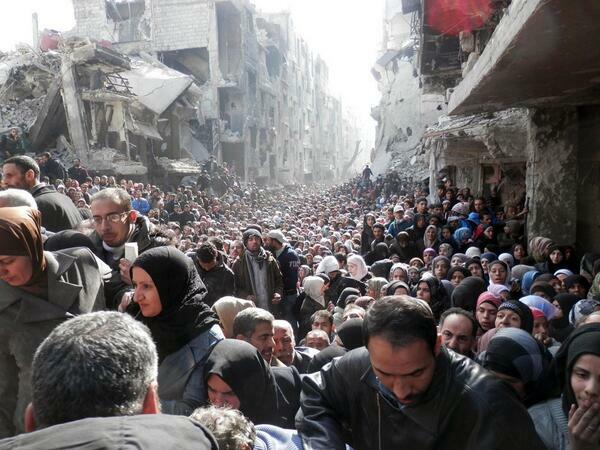 Chris Gunness, a spokesman for UNRWA, said in a statement that the Syrian government granted access for relief workers to enter Yarmouk on Wednesday after an 11-day halt. 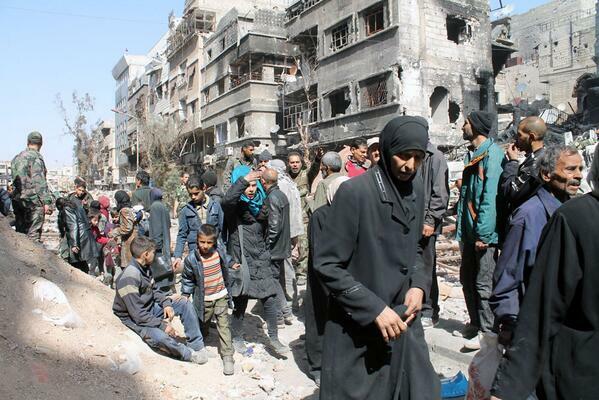 He said 280 families received food parcels on Wednesday, adding that they are preparing to deliver more food to about 18,000 Yarmouk residents on Thursday. 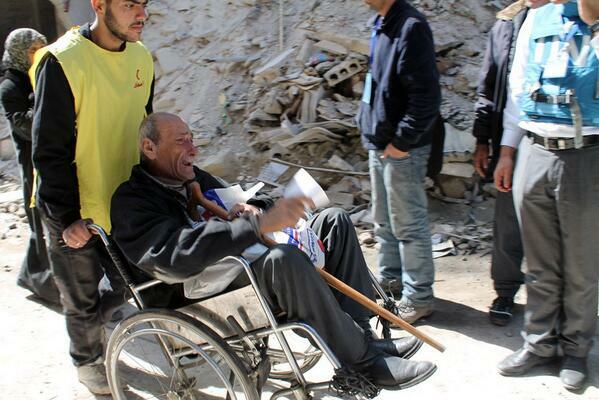 Abdel Youssef killed along with another man in the latest bout of violence stoked by civil war in neighbouring Syria. A group of 38 male evacuees from besieged parts of the Syrian city of Homs were released after investigation, leaving almost 200 others still being held, the provincial governor said. The men and boys, who were freed on Friday, were among those detained by security services for questioning after being evacuated from Homs by the United Nations and Red Crescent under a deal including a temporary ceasefire. "They left the [processing] centre for the places they wanted to go to after their situations were resolved," governor Talal Barazi said. He said that around 195 evacuees were still being held at the processing centre while investigations into their identity papers and military service status were being carried out. 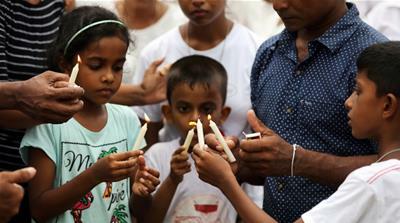 The UN said earlier this week that some 380 male evacuees were still being held in processing centres, though it said some had been cleared for release but not yet left. Barazi said many of the detainees were eager to take advantage of an amnesty offered last year to those who had failed to report for compulsory military service. "Detainees have told us about their desire to settle their situations before being released because they were unable to take advantage of the amnesty while they were under siege," Barazi said. Beginning February 7, the UN and Red Crescent evacuated some 1,400 people trapped in besieged parts of Homs for more than 18 months as the Syrian regime battles rebels across the country. Syrian military operations may increase the number of refugees in the Lebanese village of Arsal and stretch already-sparse infrastructure there, writes Al Jazeera's Basma Atassi, reporting from Lebanon. UK Ambassador to the UN Mark Lyall Grant says the Syrian regime must comply with these demands. Ambassador Grant: End the killing of your own people. bombardment on the rebel held town of Al Hissin in Homs. The adoption of this resolution, on the initiative of the UK and our close partners, sends a clear message that the Assad regime cannot be allowed to starve hundreds of thousands of its own people into submission. British Foreign Secretary William Hague says the UN Resolution will help ensure vital humanitarian aid reaches millions of Syrians. This video uploaded to YouTube, is said to show a barrel bomb being dropped in Hayan in Aleppo. Saudi Arabia is in talks with Pakistan to provide anti-aircraft and anti-tank rockets to Syrian rebels to try to tip the balance in the war to overthrow President Bashar al-Assad, a Saudi source said. The source pointed to a visit to Riyadh earlier this month by Pakistan's army chief of staff, General Raheel Sharif, who met Crown Prince Salman bin Abdul Aziz. Rebels have long said that anti-aircraft and anti-tank rockets would help tip the balance in the battle against Assad's forces, which enjoy air superiority. Fresh pic of Angelina Jolie visiting Syrian refugees in Lebanon. We like! Special Envoy for the UN High Commissioner for Refugees, Angelina Jolie has embarked on a tour of areas hosting Syrian refugees in Lebanon. This video uploaded to YouTube, is said to show Assad forces being engaged by rebels in battle and forced to retreat in Quneitra. The Organisation for the Prohibition of Chemical Weapons (OPCW) said a fourth consignment, containing mustard gas, left Syria on Wednesday. 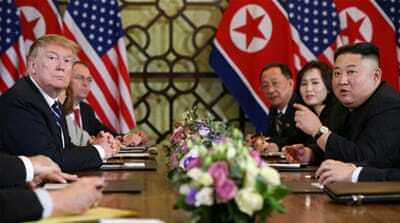 It welcomed the move, while urging Damascus to "maintain momentum" in shipping out the chemicals. Under a US-Russian deal reached after a chemical weapons attack killed hundreds of people around Damascus last year, President Bashar al-Assad's government should have handed over 1,300 tonnes of toxic chemicals by Feb. 5 for destruction abroad. But only a handful of cargoes have been shipped out of the country so far, a small fraction of the stockpile declared to the OPCW overseeing the process along with the United Nations. Channel 4 News editor Ben de Pear, has posted pictures from the UN agency for Palestinian refugees on Twitter, UNRWA at Yarmouk camp in Damascus, where thousands of people are existing under a blockade. 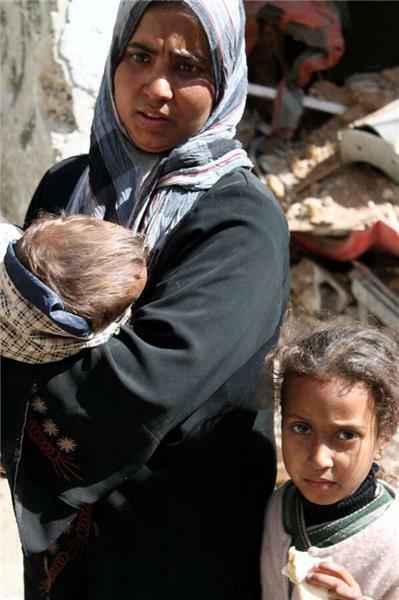 As well as about 18,000 registered Palestinian refugees, there is an unknown number of other residents trapped inside the devastated Yarmouk camp. The United States defence department has urged Syria to move faster on its promise to hand over its chemical weapons. Pentagon spokesman Col. Steve Warren said on Thursday that so far, only one batch of the government's most toxic chemicals has been shipped out of the country. It was mustard gas. The government of President Bashar al-Assad has missed at least two deadlines in the past two months to remove chemicals. A US cargo ship loaded with equipment to neutralise the chemicals is waiting in Europe to destroy the most dangerous parts of the stockpile. 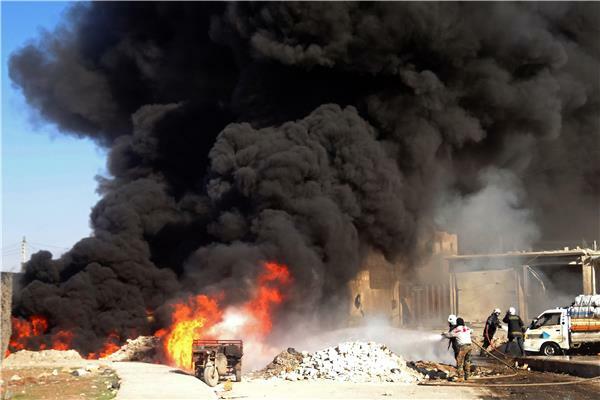 Destruction of #Syria chemical programme is an ongoing process. Today a movement of significant quantity took place. Important progress. Saudi Arabia has hit back at Russian criticism of its reported plans to supply shoulder-launched missile launchers to Syrian rebels, saying Moscow's support for Damascus was prolonging the conflict. The foreign ministry is said to have been "astonished by Russian criticism of Saudi Arabia for its support of the Syrian people", the official SPA news agency reported. The Russian foreign ministry said it was "deeply concerned" by news reports that Saudi Arabia was planning to buy Pakistani-made surface-to-air and anti-tank systems for Syrian rebels based in Jordan. This video uploaded to YouTube is said to show activists protesting and burning flags of the Syrian government and Hezbollah in Aleppo.